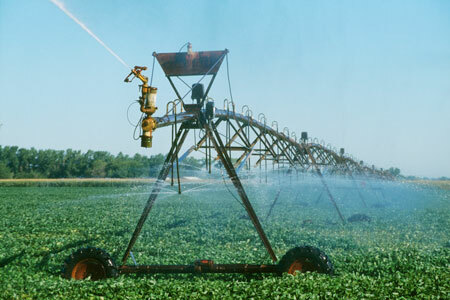 With spring finally here, it's time for irrigators to check out cost-share programs and consider investing in additional tools to improve irrigation management. ETgages (atmometers), soil water sensors, and other equipment can provide valuable information to make informed decisions. Many of Nebraska's Natural Resources Districts (NRDs) and the Natural Resource Conservation Service (NRCS) have programs to assist with equipment purchases. The Nebraska Agricultural Water Management Network (NAWMN), which has been using these tools since 2005, has expanded from 15 growers in the Upper Big Blue NRD to over 1,100 participants statewide. At the annual NAWMN Conference in February, Rod DeBuhr, Upper Big Blue NRD water manager, shared astatewide summary of NRD cost-share programs. Sixteen NRDs offer assistance for equipment: Central Platte, Little Blue, Lower Big Blue, Lower Elkhorn, Lower Platte North, Lower Platte South, Lower Republican, Middle Republican, Nemaha, North Platte, South Platte, Tri-Basin, Upper Niobrara White, Upper Republican, Upper Big Blue, and the Twin Platte. The programs vary widely between NRDs, so it's important to check with them or your area NRCS field office for more information.